Peggy Malloy has worked at TRI since 1997 on a variety of projects for children who are deaf-blind. She as a PhD in Public Health from Oregon State University as well as an undergraduate degree in nursing and a master's degree in library science. 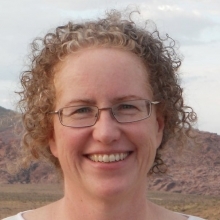 Peggy is currently the Implementation Practices Coordinator for the National Center on Deaf-Blindness (NCDB) and has a particular interest in the ways that implementation science findings inform the provision of technical assistance. Before working for NCDB, Peggy spent many years as an information specialist at DB-LINK and was the Managing Editor of Deaf-Blind Perspectives. Peggy's areas of expertise are deaf-blindness, public health, technical assistance, library services, information management, product development, and family engagement.